The third, second and first teams from Universities and higher institutions were awarded this year’s Rwf800,000, Rwf 1.2 million and Rwf 1.5 million of this year’s edition of Capital Market Authority challenge. At a colourful ceremony held at Kigali Serena Hotel in the capital Kigali on Wednesday night, Katlego Betsi Paakanyo, Sincere Izabayo and Francis Nkurunziza emerged as the third, second and first winners of the essay category and were awarded prizes worth Rwf 200,000, Rwf300,000 and Rwf500,000 respectively. In the highly contested quiz competition; The Brains Club came third, Victorious Club came second and Talented club emerged as the 2019 champions. 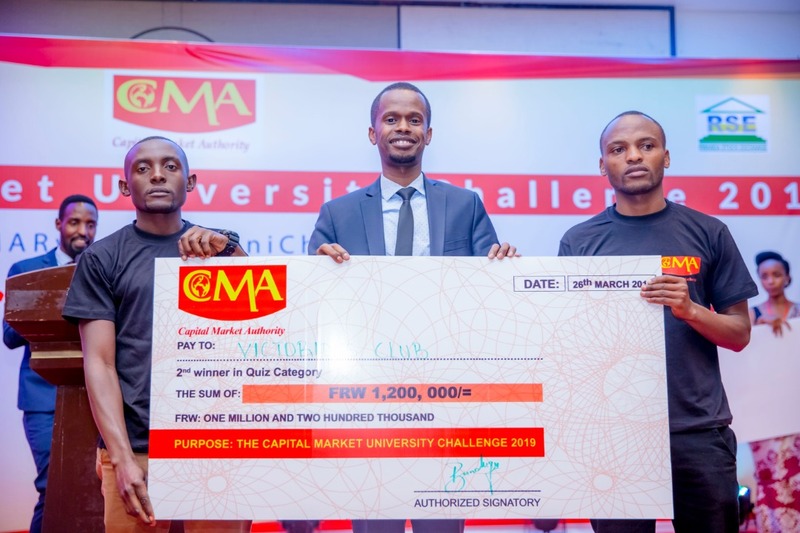 Pomp and colour characterised the awarding ceremony of the 2019 Capital Market University Challenge after a rigorous and hectic preselection stages in all provinces from across Rwanda and the City of Kigali. This year’s competition attracted 672 contestants in both the essay and quiz categories from 16 universities and higher learning institutions. The one-month long competition whose aim is exposing students from various universities and other higher learning institutions to the capital market industry while also ensuring that the same students acquire a saving and investment culture through capital market. Bundugu emphasized on the fact that for youth to secure a bright future, saving was inevitable and therefore that was why this competition was important since it provided a basic platform for investment on Rwanda’s capital market. He further reiterated the importance of becoming ambassadors of the Rwanda’s capital market and challenging their friends to invest in them as he believed was a right step towards wealth creation and financial independence. “I would therefore call upon students in Universities and HLIs to follow the trend by either joining existing savings clubs or creating new ones. Allow me to encourage the Administration of Universities and HLIs to facilitate and educate their students on how best to do so,” Dr. Muvunyi stressed. 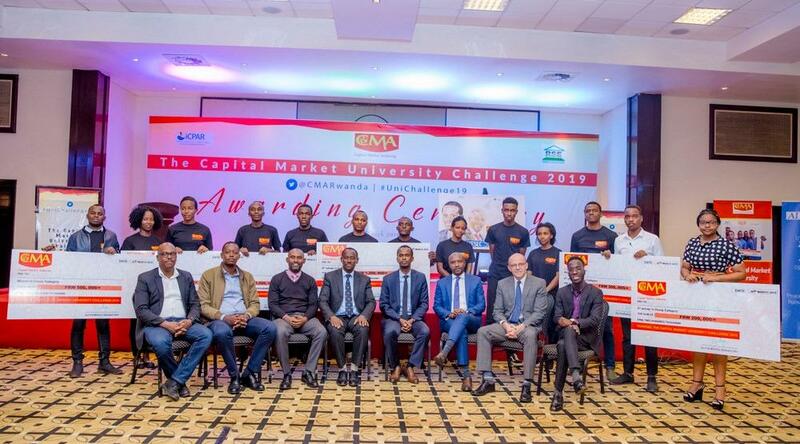 The 6th edition of the University Challenge was organised by Capital Market Authority (CMA) in collaboration with the Rwanda Stock Exchange(RSE), the Institute of Certified Public Accountants Rwanda (iCPAR) and AIESEC Rwanda, the Rwandan chapter of the world’s largest youth run organization.